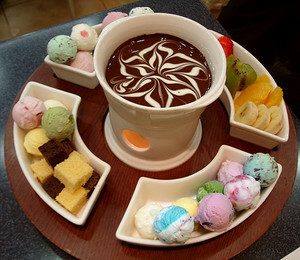 초콜릿 Desserts ♥. . Wallpaper and background images in the Ingrid's Graceland club. This Ingrid's Graceland photo might contain 점심, dejeuner, 점심 식사, 오찬, 티핀, 데저 너, 냉동 요구르트, 냉동된 요구르트, 커피 브레이크, 차 휴식, and 티 브레이크.